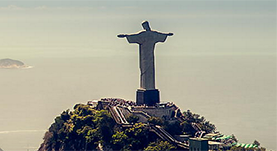 The program “Scam city” shows different scams in different places around the world and they also visited Rio de Janeiro during carneval and “malandros”. They visited Lampa in the centre of Rio with transvestites, playground for sinners – were you must watch up for things they put in your drink that the call “Godnight cinderella”. They showed different scams like in a cab, pick-pockets wallets and a matumba cermony for the cost of 400 USD. Call me paranoid – but everyone look suspicious”. He also filmed “Bicheiros” rich criminal patrons that invest money in different samba schools and parades they are also investing in schools. There is a strong connection between bicheiros and samba schools where they use samba schools for money laundrying in a massive scale. Bicherios get their money from “Jogo do Bicho” ie illegal lottery game people play at the streets.